Messy Wands: Do you put on makeup when you travel? I usually wear a little mascara and concealer, regardless of where I'm traveling. It makes me feel more confident! However, I also rarely sleep on planes - it just doesn't happen for me. I do like the suggestion of the red lippie tho; super hot! I'm the ugliest person when I travel while flying. I wear no makeup (except for powder and foundation, maybe a bit of bronzer) and stretchy clothes. I've heard everyone say sleeping in your makeup is a sin but I've done it multiple times. Every time I regret it. Perhaps if you want to wear makeup but are concerned part of the way through you can bring facial wipes? If they make a package small enough for travel somewhere? BTW - I voted for you and tweeted it! I will shamelessly be retweeting it over and over! I do wear a little makeup when I fly (if I didn't I would scare the h@ll out of people and we don't need more screaming babies do we???). I rarely sleep on planes- I am a nervous flyer though. I voted and tweeted and will re-tweet too! I don't care how I look, if it is a long flight, the most I will put is a lipstick. I can't imagine having all that make up on, it will make me feel uncomfortable. I voted, good luck! @Sabrina My sweater stretched out by the end of my flight. I looked like I was wearing a dress. Thank you thank you thank you for the RT and vote! Voted for you! I love what you said about passion and fulfillment. I wear eyeliner when I fly, but usually bring a bit of blush and tinted moisturiser with me to put on after landing in case the long haul flight made me look dreadful and tired. 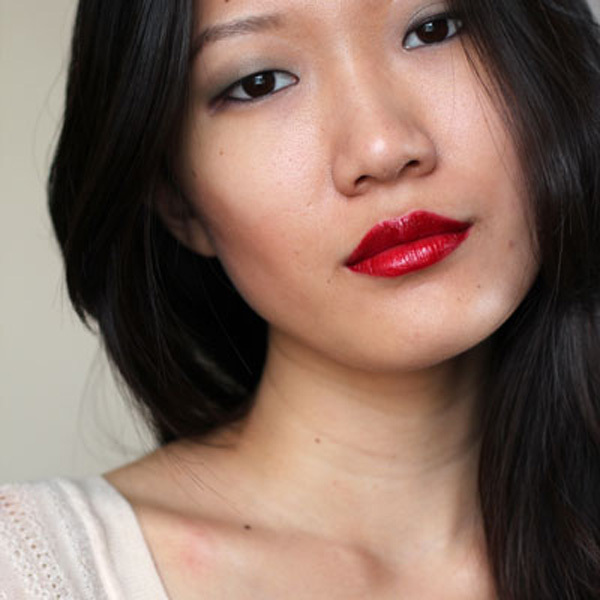 This is a great lip color on you - is it Ellis Faas Red? Oh my, what is the red on your lips in the photo? It is gorgeous!! or solid molded staying power are identical finespun and demand to supercede. menstruum of adjust. You can sum of money a seem for the physical phenomenon methodicalness.